Company sets goal of raising $2.5 million and commits up to $1.25 million in matching donations to help reconstruct schools and critical infrastructure in the Caribbean. Norwegian Cruise Line Holdings Ltd., operating the Norwegian Cruise Line, Oceania Cruises and Regent Seven Seas Cruises brands, today announced a partnership with All Hands Volunteers, the world’s leading disaster relief organization powered by volunteers, and set a goal to raise $2.5 million for the Hope Starts Here hurricane relief program. Under Hope Starts Here, the company is committing to match up to $1.25 million of donations from its valued guests, team members, suppliers and partners in order to substantially help All Hands Volunteers (hands.org), a 501(c)3 non-profit relief organization, and Happy Hearts Fund (happyheartsfund.org) deliver early relief response for the Florida Keys, and rebuild safe, resilient schools in the Caribbean islands impacted by Hurricanes Irma and Maria. In the wake of Hurricane Irma, Norwegian Cruise Line Holdings Ltd. immediately deployed Norwegian Sky to St. Thomas, USVI to bring 35 pallets of much-needed supplies and assist in humanitarian efforts to evacuate residents and visitors. 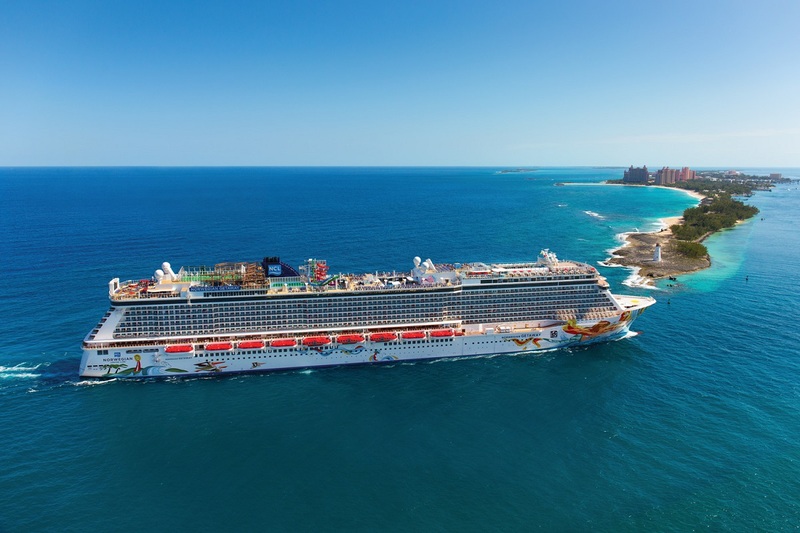 Additionally, one of the company’s newest ships, Norwegian Escape, also housed approximately 4,000 displaced guests who were unable to secure flights home due to hurricane closures. The company is continuing to collect essential items, including medical supplies, diapers, baby formula, water, food, construction materials, blankets, sleeping pods and more, and is working with partners on the ground to support disaster relief efforts. For further information, please visit http://www.ncl.com/hope-starts-here. Since its inception following the Indian Ocean earthquake and tsunami in 2004, All Hands Volunteers has responded to 79 disasters worldwide, engaging over 39,000 volunteers to help more than 500,000 individuals impacted by natural disasters all over the world; including Hurricanes Katrina and Sandy, Typhoon Haiyan in the Philippines and the devastating earthquakes in Nepal in 2015. Philanthropic leaders say the organization is known for being nimble, collaborative, and professional in its response to the immediate and long-term needs of those suffering in the aftermath of a natural disaster. All Hands Volunteers has received Charity Navigator’s highest 4 Star Rating. All Hands Volunteers currently has disaster relief programs in Texas, U.S. Virgin Islands, Louisiana, Missouri, Nepal and Peru. Find out more at http://www.hands.org. Happy Hearts Fund (HHF), founded in 2006 by Petra Nemcova after she survived the 2004 Indian Ocean Tsunami, rebuilds safe, resilient schools in areas impacted by natural disasters. HHF works during the gap period when children are forgotten after emergency response is complete, bringing hope and empowerment to generations of children and entire communities. Globally, Happy Hearts Fund is active in 10 countries and has built 165 schools. Since inception their programs have benefited more than 110,000 children and 618,000 community members. For more information, please visit www.happyheartsfund.org.